redspokes South East China tour begins in Guiyang: the capital of Guizhou province. The city is situated on the Nanming River, a headstream of the Wu River, which eventually joins the Yangtze at Fuling in Sichuan. You will have a free day to explore Guiyang, you might want to visit DaNanMen the old food street downtown, known as 'the Food Paradise of Guiyang' and 5 minute walk from the Jiaxiu Tower. Lots of local specialties and famous dishes can be found here. The climate here is temperate and there are a number of tourist attractions and historical landmarks. The Red Marple Lake (Hongfeng Lake) the Flower Stream Park, and relics of the Ming and Qing dynasties: the Jiaxiu Tower, Wenchang Pavillion and Yangming Cave. More than 30 different ethnic minorities live in Guiyang, enriching the city with their colourful folk traditions and cultural activities. This evening we will have a team briefing. After an early morning transfer to Zhou we begin our cycle ride on quiet back roads. Don't be deceived by the relatively short distance we cover today. We face 2 major climbs ascending over 850m. The start to the cycling tour could be described as being thrown in at the deep end! This area of China is the home to different Miao communities; a grouping of linguistically related minorities. As we cycle we pass by wooden houses, often on stilts with animals living beneath them. The Miao wear brightly coloured embroidered clothing and observe strong cultural traditions including a love of storytelling and music. They celebrate many festivals during which there is drumming and dancing to the music of a lusheng (a wind instrument). Traditional crafts that you can see being practised include weaving, batik and embroidery. Our cycling this morning begins with 9km along flat terrain before we undertake a steep 200m climb for 2km. There's a speedy 1km drop on the other side of the peak, after another kilometre of riding we can make a stop in the little village of Datang. Once we've drawn breath here we tackle the first real challenge of the day with a 400m climb over 10km. Over the top we drop 500m downhill for the next 10km and head straight into the 300m monster climb! To end the day we're rewarded with a well-deserved 12km steep cycling descent into Yongle. Today we begin with a relatively gentle 14km of cycling. We begin to climb for the next 9km ascending 250m before a sharp drop over 8km, then it's steady downhill ride into Rongjiang. The villages we pass here are characterised by their wooden buildings and home to a Miao community who produce traditional indigo dyed batik fabrics. After 38 km we reach Rongjiang a bustling town located in a wide valley with a big river. Ronjiang is lively in the mornings with a busy market. Stallholders sell fruit, vegetables, local sweets 'Jaoizi' and bowls of steaming food such as red bean soup. We cycle on from Rongjiang towards Diman. We begin with 7k of cycling along flat road before tackling the first of 2 big climbs. First a 13km (400m) challenge. For the next 22km the road inclines then rises again towards our second 12km (450m) of increasingly steep ascent. We finish the day with a steep 5km drop into Diman enjooying fantastic views, timeless scenes and undulating road. We may hear the sound of traditional music wafting across the countryside from a reed flute or traditional drums. This evening is one of the highlights of the tour as we are amongst the first tourists to stay in the village of Diman. We will receive an authentic warm welcome from the community. Bidding farewell to our hosts we take a road out of Diman, cycling downhill for the first 13 km. We then begin a climb for the next 15km enjoying spectacular rural views. 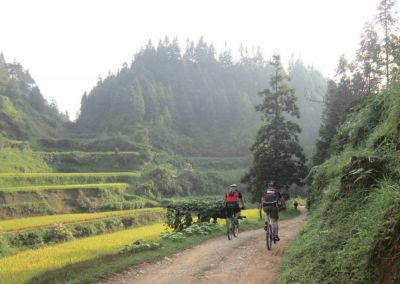 Over the pass we cycle mainly downhill through the valley and into Liping passing picturesque quiet villages, set in a verdant, agricultural landscape. Today we cycle on towards Zhaoxing on spectacular quiet road with 2 mountain pass climbs, to tackle on the tour today both of which are short and steep. On the hill tops truck drivers make stops to refill with water and local women sell traditional crafts, including embroidered slippers and painted scrolls. Our approach to Zhaoxing takes us through rice fields etched in the hillsides and we will see the famous drum towers. Zhaoxing is famous for its five drum towers. According to tradition each individual drum tower represents one group of local Dong people. Another feature of the town are the wind and rain bridges amongst the wooden buildings. The Dong people still wear traditional clothing and speak only their native language. The town comes to life early in the morning with a market where you can sample local snacks and observe local life, it is then very quiet during the day when most people are out working in the fields. The Dong have never had a written language of their own. Their history, tradition and philosophy have been passed on from generation to generation in the form of music with choral singing accompanied by unique wooden pipes dances and the neverending songs. We may be treated to some traditional music while we are here. You can walk up to Tangan, another authentic Dong village via a lovely wind and rain bridge. Tangan is quite high up on the mountain slope and has a very nice "Gluon" and also a Dong museum. 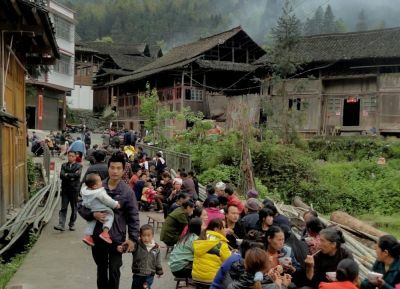 We head across the border to the remote Dong village Dudong in Guangxi province, tucked away in the mountainous area bordering Guizhou and Hunan. Our day begins with a 10km steep climb, we then cycle downhill for 15km into a narrowing valley, passing-by unspoiled Dong villages and wind and rain bridges to reach a pass on the border between Guizhou and Guangxi. Our scenic route passes through beautiful tea fields that cloak the valley. After a further flatter 10km we have another 10km ascent before dropping down in to Dudong for 7km. The village retains its traditional character with wooden buildings, drum towers and farm animals wandering freely along cobbled streets. This afternoon the road rises and falls for 10km bringing us to another monster 11km (500m) ascent. This is followed by a fantastic 9km descent before the road flattens out as we reach Sanjiang Dong County. We begin the day riding on surfaced road uphill cycling 32km on surfaced road up along the valley towards Ping An. For the final stretch of the ride we pass through spectacular scenery of rice terraces cut into the mountainside over many years by local communities. We cycle a series of challenging hairpin bends that twist up toward the skyline, to reach this traditional Zhuang village high up in the mountain. Longsheng county is famed for the Longji rice terraces (Longji Titian), known as the Dragon’s Backbone by the locals, where entire mountain sides have been transformed into rice fields creating a dramatic landscape like great chains, or ribbons extending from the foot to the top of the hills. This maximises use of the limited arable land and water resources in the mountainous area. The terraces were first started in the Yuan dynasty and finished in the Qing dynasty by the Zhuang people and look as if they were sculpted into the mountainside. A rest day to learn more about Ping An, this traditional Zhuang village high up in the mountain. There are ten different minorities including Zhuang, Yao, Hui, Miao and Tong. In the village the women still wear unique traditional dress and are famed for having their hair so long that it touches the ground. Many folk festivals take place during the year. You can sample the local specialty: rice cooked with peanuts, beans or other ingredients baked in bamboo tubes on an open fire. You can explore the village on foot and a short climb will take you to two famous vantage points: the' Nine Dragons and Five Tigers', and the 'Seven Stars with the Moon', where you can enjoy breath-taking views. These are considered as the highlights of the village. Today we cycle down out of Ping An following twisting mountain road for 20km. Cycling on with a few ups and downs we then climb uphill for 18km climb before a steep 8km drop to Wantian. The next 21km is along relatively flat road before we begin a moderate climb for 20km towards the Qingshitan Reservoir our destination for the night. We stay tonight in a waterside hotel. We start today with a 5km cycle to Jiangtou, a traditional village famed for its ancient houses, narrow alleyways and gorgeous natural surroundings with well-preserved buildings dating back to the Ming and Qing Dynasties. Riding on we head away from the hilly rice terraces that we’ve become accustomed to over the last few days. Cycling on for the next 21km we follow the route of an irrigation canal on unsurfaced road without the support vehicle, enjoying a stunning Karst scenery. We continue riding on surfaced road to reach the Li River and cycle along the river enjoying a stunning route into Guilin. 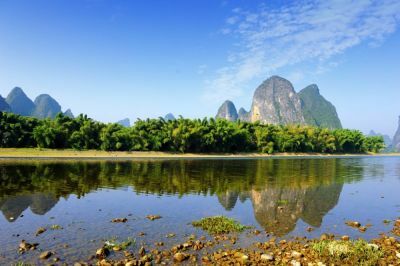 The mountains and waters around Guilin have been described as the best under heaven in a landscape riddled with limestone Karst formations, caves and lush greenery. Meandering through the cliffs and rocks are calm rivers and streams irrigating the farms and villages where we will see orchards, vegetable plots, reservoirs and farmyards alive with the sound of chickens clucking. 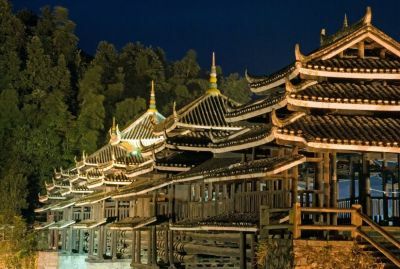 Guilin is a lively modern city, attractions include Central Square, Jingjinag Prince City Museum and the Li Folk River Museum. The 14 day South East China tour ends today with a transfer to the airport. 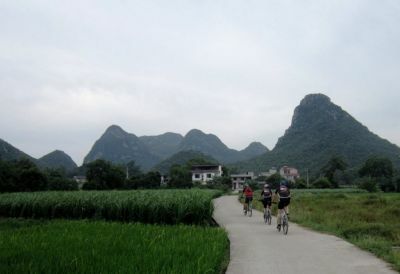 redspokes South East China extension tour continues from Guiling as we ride from the lively busy city streets out into a countryside dominated by Karst peak formations cycling towards Xingping. 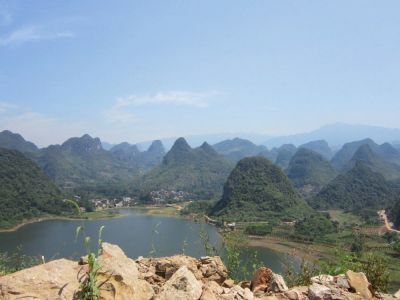 The first 30km are on flat terrain following the Li River and you can enjoy the beautiful scenery that surrounds you. We pass through Daxu a picturesque village with cobbled streets that dates back to the Ming dynasty. Next we cycle a steep downhill of around 3km into Cao Ping, a perfect spot to make our stop for lunch. This afternoon our route takes away from the river and we begin a steep 10km climb, followed by a further 1km push up to the peak, then it's a drop of 6km. Over the next 10 km we have 2 further climbs and a speedy drop. The final 10km of the day take us over 2 more gentle peaks into historic Xingping where once again we're alongside the Li River. The 20 Yuan note features a scene of the Li against mountain peaks at Xingping. The Bird's View Pavillion sits on one particularly dramatic peak overlooking Xingping. If you have a head for heights, you can climb up here to enjoy the view. If you prefer to say at ground level, you have the option to take a scenic river trip in a small boat. We begin the day cycling along the river and then head into the mountains on rural roads passing villages, tea plantations and farmland. After 10 km of flat terrain we climb a dramatic 5km to our first peak; there's a brief respite before a further 4km of tough terrain uphill. We drop down over the peak for 3km then it's uphill again for the next few km. The rest of the day we'll be heading downhill with a few brief climbs for an enjoyable 60km through the beautiful karst scenery. Our final stretch of the day into Yangshuo is along surfaced roads. Youngshou is a popular destination and noticeably more touristy than Xingping. There are plenty of opportunities to pick up souvenirs and all manner of goods in the town market on West Street. If you still have the urge to stretch your legs after all the cycling it is worth walking up the mountain to enjoy the view of the town in its beautiful riverside setting. Tonight we will celebrate the end of our cycling with a final meal together. A perfect finish to our South East China tour. The tour ends this morning with a transfer to Guilin Airport which is about 1 hour and 40 minute's drive away. 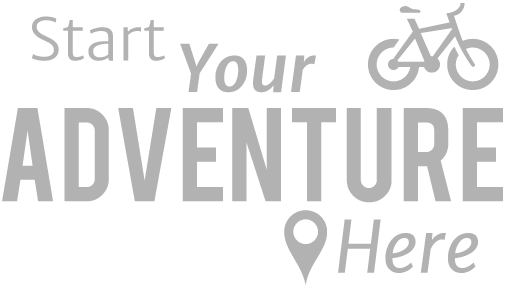 "I would definitely book another tour with redspokes, everything was very well organized, the way it was run was responsible, professional and at the same time flexible to all of..."